A successful launch of Iraqi Icicle was held at StrathPine Shire Council Library tonight (6 September 2007). Over 60 people were in attendance to hear the author, bush poet Long John Best, musicians – Ash and Nathan, entertain the audience with poetry, readings from the book, and live music (book original and cover songs). The launch was ably MC’d by John Watson. You can read more about it in the Quest local paper. Who is murdering the Novel? QUEENSLAND journalist Bernie Dowling launches his first novel, the detective thriller Iraqi Icicle at Strathpine Library on September 6. Dowling said writing a novel, while working full-time, required persistence. 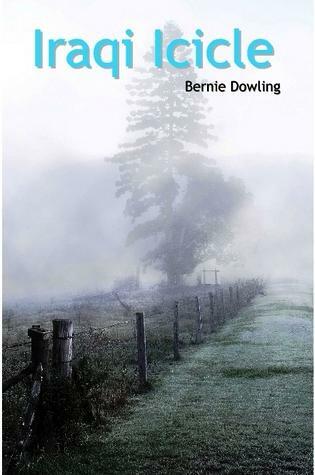 “I had written a short story collection and a short history of the Pine Rivers show but a 400-page novel is more daunting,’’ Dowling said. He said writing the first draft was the easy part and making the many revisions the difficult task. 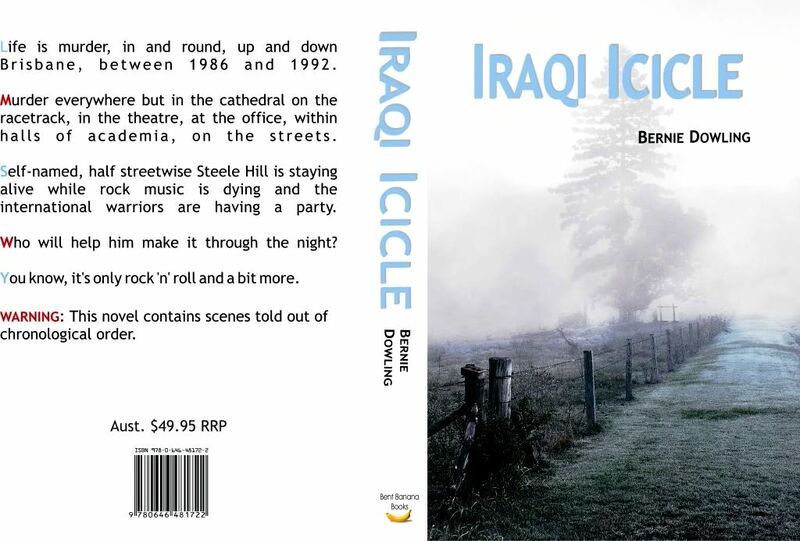 Iraqi Icicle is a detective thriller set in and around Brisbane from 1986 to 1992. Dowling sees the period as an extraordinary time in Australian and world history.“We had the explosion of personal computers and mobile phones in Australia as well as the recession of 1990-91.”“In Queensland, we had the Fitzgerald inquiry into police corruption and the fall of the long-serving Joh Bjelke-Petersen government. These international and national events invade the blackly humorous novel, Iraqi Icicle which introduces young orphan gambler Steele Hill as the unlikely “detective”. Dowling said his novel was, in other respects, a typical plot-driven detective yarn with a darkly humorous edge, a femme fatale, a healthy body count, crooked officialdom and eccentric minor characters.He has two Steele Hill sequels “in my head”. News photographer Russell Brown shot the novel’s cover image. Dowling will launch Iraqi Icicle at Strathpine Library from 6pm on Thursday, September 6. Admission is free.